The indie mart yesterday was a ton of fun, I would certainly recommend it to any San Francisco residents as a lovely way to pass an afternoon. It was exciting to see a good number of shops I recognized as favorites from Etsy. I ended up walking away empty handed again (except for a couple of really delicious cupcakes), but this time it was because I had neglected to bring any cash. There were a few places I would have been happy to drop some dollars, including my new favorite, NousSavons. 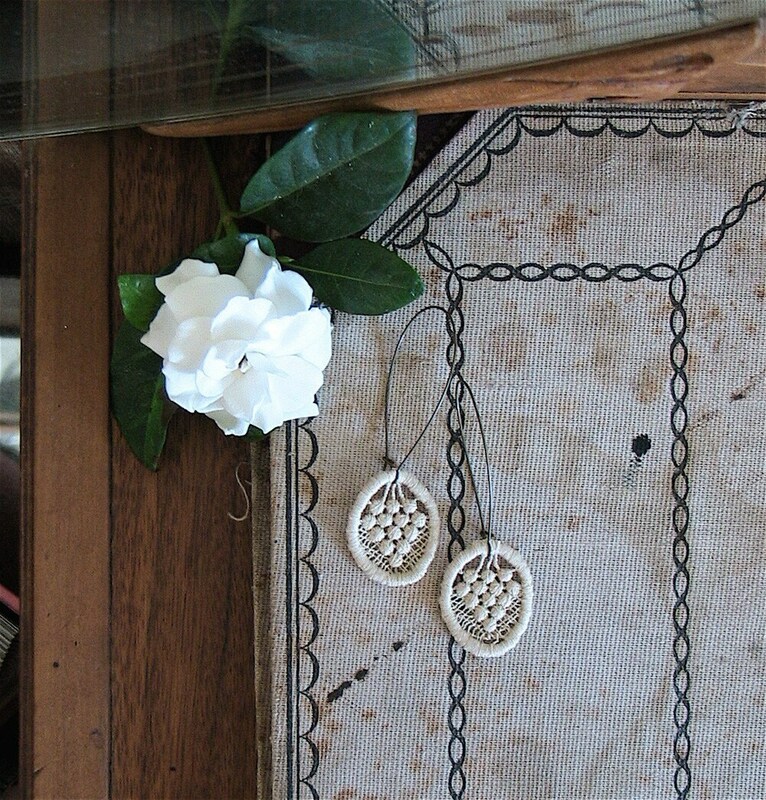 They have really lovely vintage inspired jewelry with whimsical names, like the above Parlor Lace earrings, which are made with vintage lace. The jury is still out on whether I will be submitting an app to participate in the next indie mart, but I will certainly keep you updated.